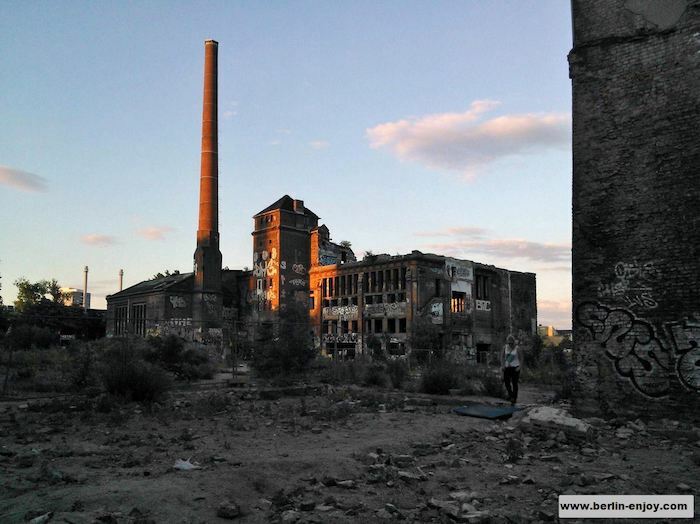 Important update: Unfortunately it is not posible anymore to visit the Berliner Eisfabrik. The building has been demolished. But lucky enough there are plenty of other great buildings to visit in Berlin. When you visit Berlin for the first time it makes sense to visit great attractions like the Reichstag, the Fernsehturm and the Berliner Dom. These historical attractions are a must-see for every tourist in Berlin. 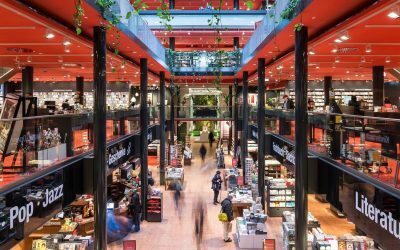 But when you visit Berlin for a longer period or already saw the touristic attractions during an earlier trip, it might be interesting to visit a less mainstream location. The abandoned ice-factory at the Köpenickerstrasse is definitely one of the most alternative places which Berlin has to offer at this moment. Berlin is known as a city with a rich history. Many buildings carry an interesting story and this is also the case with the Berliner eisfabrik at the Köpenickerstrasse. This building belongs to the oldest ice-factories in Germany and has been producing artificial ice for more than 100 years. 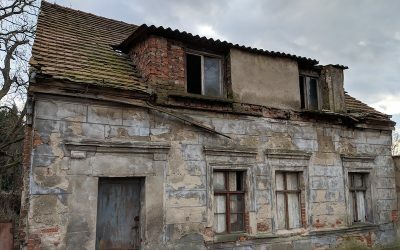 A company called Norddeutschen Eiswerke started using the building in 1893 and after having survived two world-wars the building is now abandoned since 1995. Right now the ice-factory is one of the most interesting abandoned places in Berlin. One of the primary purposes of the abandoned ice-factory is offering a place to sleep to many homeless people. When you walk around in the abandoned building you will see that some doors are closed: This generally means that these rooms are occupied. But because the abandoned building has a surface of more than 11000 m², there is enough space for visitors as well. If you do not bother the “residents” they will also leave you alone. Although some of the rooms are occupied, the largest part of the abandoned ice-factory is empty and available for visitors. Empty does not mean the same as boring in this case because all walls of this gigantic building are decorated with graffiti. Because of this reason the ice-factory is a real joy for everyone who likes street-art. Although this might already be reason enough to visit the ice-factory, there is a lot more to be seen. One of the most special places in the Berliner eisfabrik is the roof. On the roof you will find many young people having a drink and enjoying the awesome view over the Spree, the Fernsehturm and the Schillungsbrucke. The roof of this factory is a great place to meet some friends and have a drink before you go out. 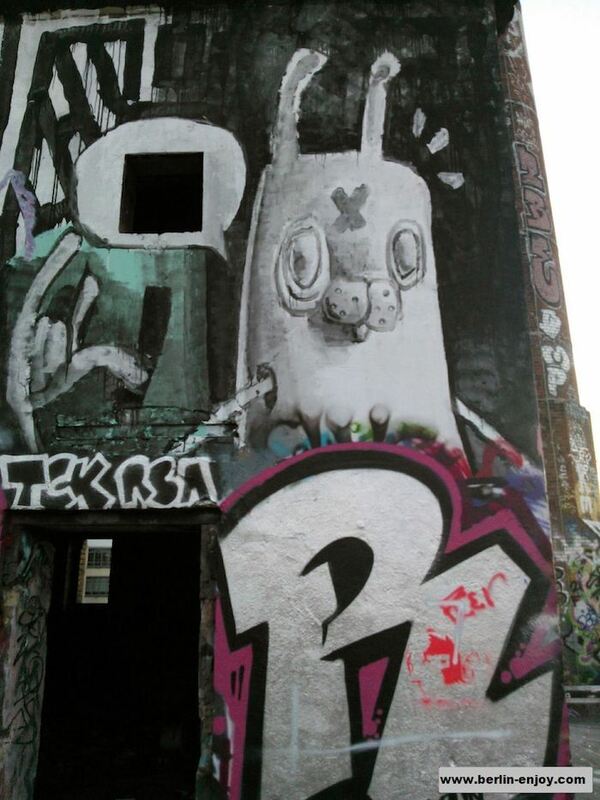 The abandoned ice-factory is located at Köpenickerstrasse 40/41 which is in the middle of Berlin. If you travel to station Ostbahnhof you can reach the abandoned building with a walk of less than 10 minutes. A second benefit of this location is that many cool clubs are located very close to the ice-factory. 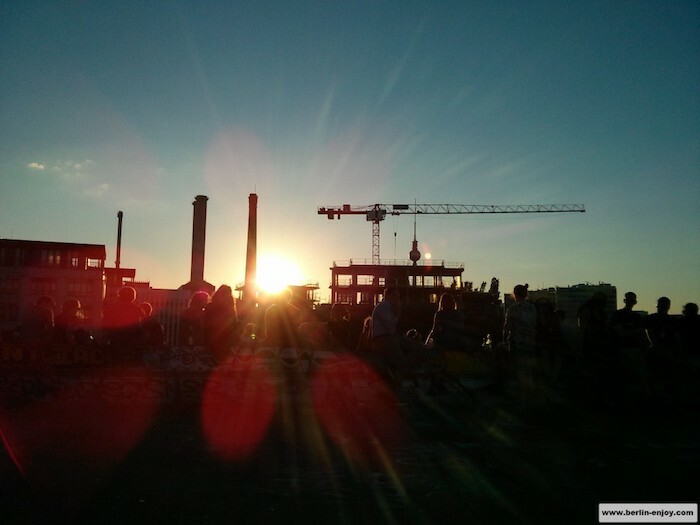 If you decide to meet some friends on the roof of the building, it will only take you five minutes to walk to Kater Holzig, Magdalena or Lichtpark. Below you can find three tips which will help to make your visit to the ice-factory even better. First of all I would not wait too long with visiting the abandoned ice-factory: A large premise in the middle of Berlin will not stay abandoned forever. Right now it is one of the coolest places to have a drink with some friends but there are rumours that the ground will be used for the MediaSpree-Project. Berlin would not be Berlin if there would not be some sort of protest against this, but in the end money rules the world. 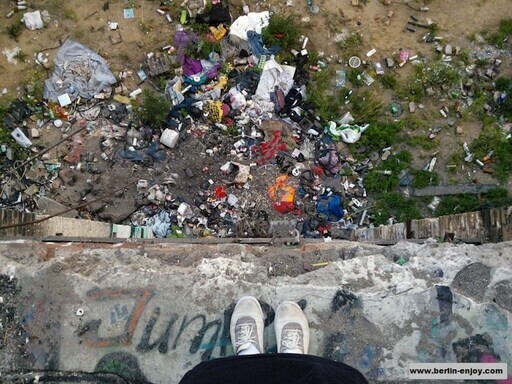 Don’t be scared to visit the abandoned building in the evening, the residents are friendly and harmless. But also don’t exaggerate and visit the factory in the middle of the night. People who want to sleep will not be pleased with your visit and it might just be safer to visit the building when there are still other people around. My last tip is to visit the abandoned eisfabrik around sunset. The sun goes down behind the Fernsehturm and this is an awesome view for you and your camera. In my opinion the abandoned ice-factory is an attraction with two different sides. It is a gorgeous place with an awesome view but you will also find a great amount of junk laying around in the building. Besides that it is a great loss when an historical building like this factory is being neglected but on the other hand a lot of people enjoy the benefits of the building right now and otherwise it would not be used at all. 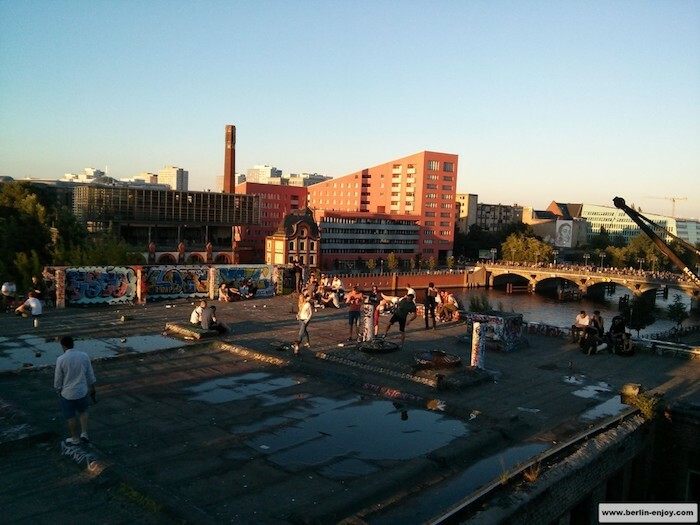 In the end you have to judge for yourself: In my opinion the Berliner eisfabrik is definitely worth a visit. It is one of the coolest abandoned places in Berlin and the atmosphere on the roof is very unique.